Battle for the Iron Throne during a LARP adventure into Westeros or step into full character at your next cosplay event with the LARP Sword of Jaime Lannister. Present your own take on the infamous Kingslayer with this sword in hand. Lightweight and flexible, this LARP weapon is crafted from dense latex foam with a fiberglass fusion core. It is painted with realistic detail. 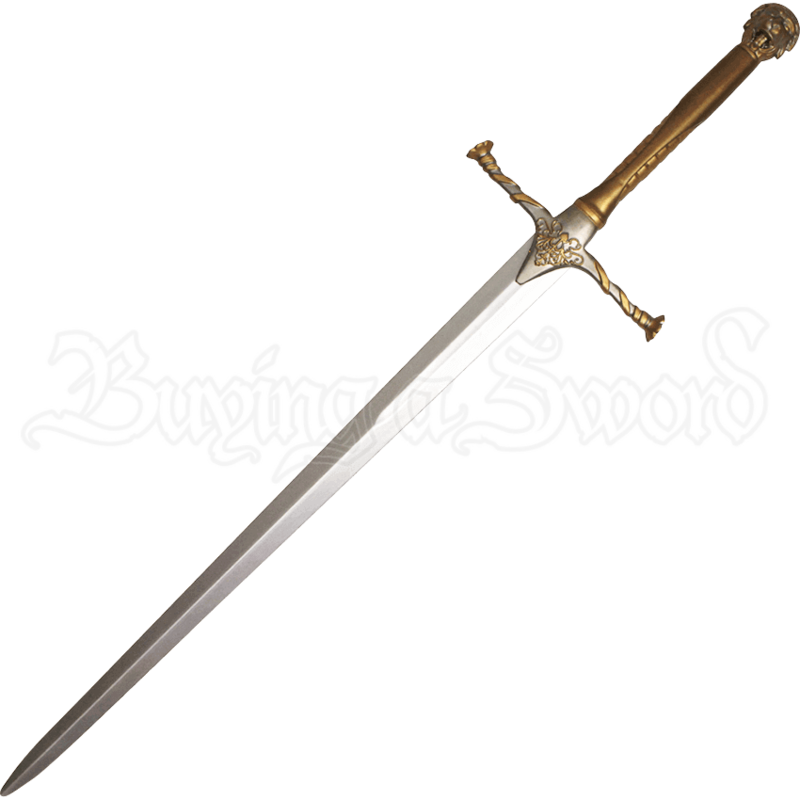 The sword is modeled after the weapon wielded by Jaime Lannister in the HBO series, A Game of Thrones. The head of a lion forms the pommel while floral patterns decorate the cruciform hilt. Combine a love for live action roleplay with that for the George R.R. Martin series, A Song of Ice and Fire. The LARP Sword of Jaime Lannister will serve you well. Absolutely beautiful prop but it is not larp legal pretty much at all. 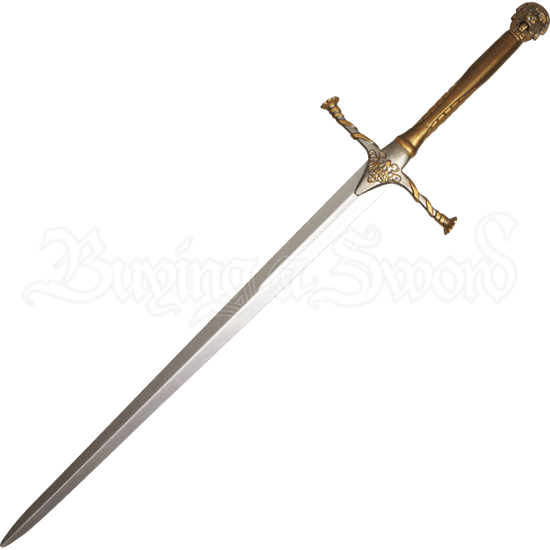 Very hard and sharpened blade makes it highly unlikely your game will pass it as safe. Even still, gorgeous latex weapon that looks great on the wall!